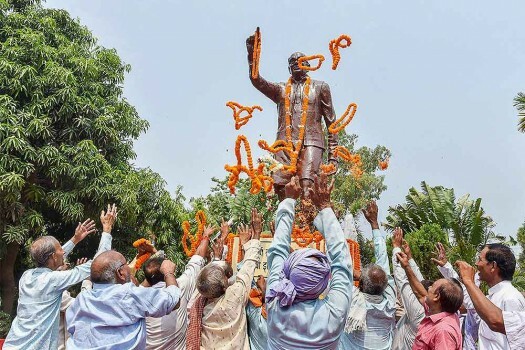 People throw garlands at a statue of freedom activist Jayaprakash Narayan to commemorate Sampoorna Kranti Diwas and JP Movement, in Patna. 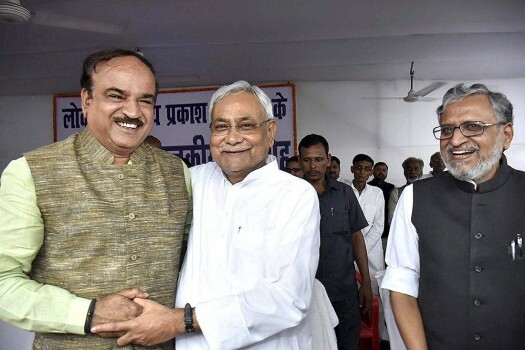 Bihar Chief Minister Nitish Kumar with Union Parliamentary Affairs Minister Ananth Kumar during an event to mark the birth anniversary of Jai Prakash Narayan in Patna. 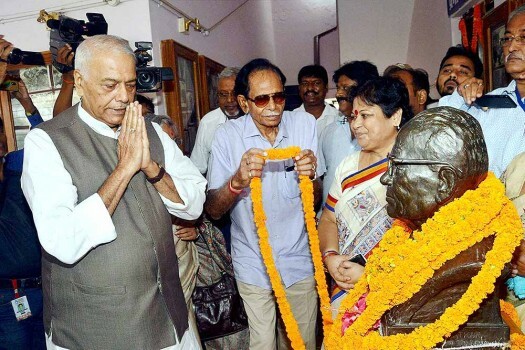 Senior BJP leader Yashwant Sinha pays tribute to Jai Prakash Narayan on his birth anniversary in Patna. 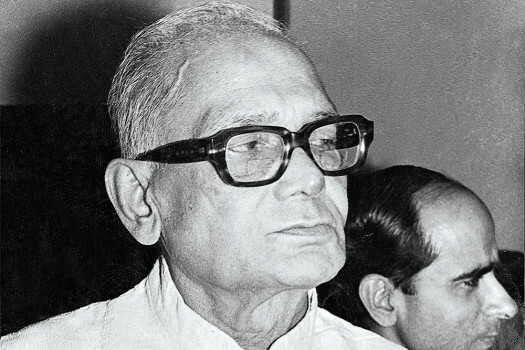 Lok Satta founder-president Dr Jayaprakash Narayan on why he thinks Andhra's capital city plan is a skewed model. Revile not politics. Reform it instead. 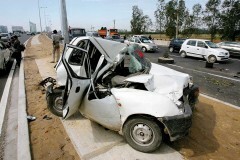 And the first step towards it? Cast a vote for proportional representation. 1974... Is This Really As Real? The most interesting country in the world has produced historians who are earnest, historians who are studious, historians who are dull. Let's get beyond their petty battles, to present history not as ideology, but as fun. 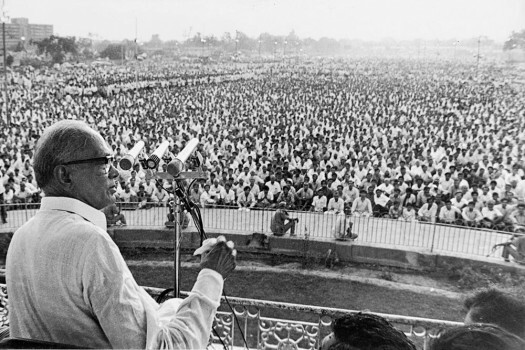 He has done what no Dalit has ever attempted. He is now accused of being power-hungry.